The second mobile handset developed by Vertu for Bentley is making its debut at this year's Goodwood Festival of Speed. of key seasonal events this summer, including the Pebble Beach Concours d'Elegance in August. It is officially launched on September 18. The Signature for Bentley elevates its status as a rare and collectable item, with a combination of new materials and unique finishes. Signature for Bentley is inspired by the Bentley Mulsanne Speed, characterised by its outstanding performance, and peerless luxury and style. Various tangible design cues drawn from the Mulsanne Speed include the carbon fibre pillow on the Signature which shares a similar carbon weave design pattern to that on the Mulsanne Speed; the polished stainless steel sides which offer a tactile knurled finish reminiscent of Bentley control knobs. In addition the Beluga Black calf leather which encases the handset is sourced from the same tannery used by the world-leading automotive company, as is the phone case which is also embellished with a Bentley Flying B Titanium emblem. This instantly recognisable Bentley Flying B logo is inscribed on the front of the phone, adorning the sapphire face piece below the key pad. It is also a key characteristic of the software power-up graphics and, along with a selection of Bentley images, features in the Signature for Bentley exclusive wallpapers. Vertu Signature for Bentley can also be customised. Using the Vertu Made to Order online configurator, customers can match their phone and case to their Bentley car leather and stitching or create something of their own design from 2,300 possible combinations. Owners can choose from the eight bestselling Bentley leather and stitching colours - hotspur, beluga, linen, newmarket tan, burnt oak, fireglow, imperial blue or saddle. A contrasting stitch colour can be selected from eight other options - citric, kingfisher, light blue, magenta, orange, pillar box red, yellow, white. Ten Vertu alligator colours - raven black, dove white, cocoa, storm, red cherry, navy blue, plum, tangerine, hunter green or fuchsia rose provide further options. Black metal or sapphire keys can be complemented by a select key, chosen from one of six gemstones - white diamond, black diamond, blue sapphire, orange sapphire, ruby or tsavorite. A personal engraving on the back plate provides the finishing touch. Focused on voice calls and high-quality sound reproduction, Signature uses refined technology to deliver simply superb acoustics. Whether you're making or receiving calls, Signature offers crystal-clear voice clarity, while side-mounted speakers, enhanced with stereo widening software, ensure impressively rich and accurate sound. Signature is composed of the strongest materials, handcrafted to withstand the toughest possible conditions. As with every Vertu, Signature is protected by a screen of virtually scratch-proof sapphire, the second-hardest natural material after diamond. Signature for Bentley ownership includes one year's complimentary access to Vertu Concierge offered by a dedicated Lifestyle manager, providing expert assistance designed to meet your every need, 24 hours a day. 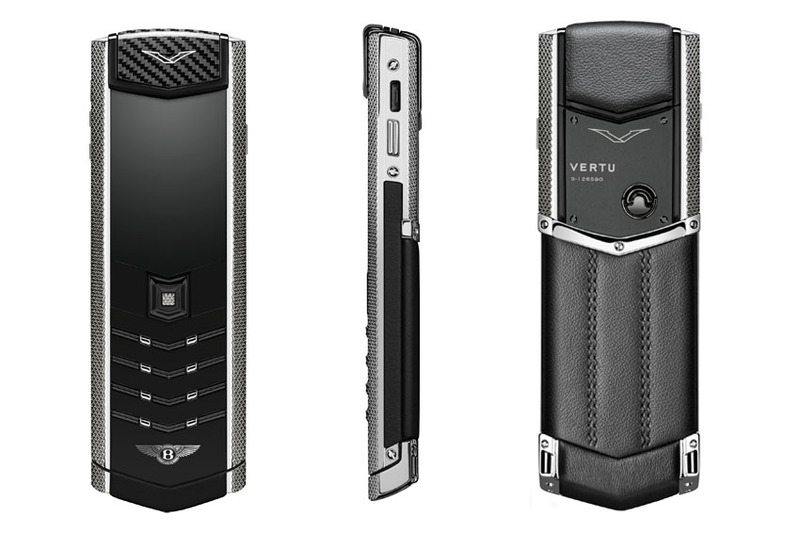 Vertu Concierge is accessed via the dedicated Vertu Key - a ruby button on the side of the handset and is accessible via voice or email from anywhere in the world. 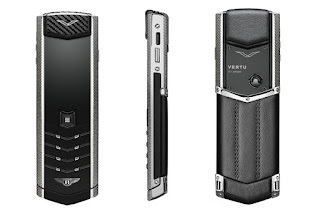 Vertu Signature for Bentley will be available for pre-order from today.